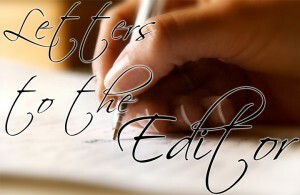 Home » Community and Society » Letter to the Editor: ACES says thanks! Ambergris Caye Elementary School (ACES) would like to thank everyone who helped make the 2nd Annual Charity Gala & Auction a huge success! Thanks to the incredible generosity of so many, our 2nd Annual Charity Gala & Auction was a night to remember and will be a bright spot on Ambergris Caye’s social calendar for years to come! Ambergris Caye Elementary School raised over $30,000 in much-needed operating and scholarship funds. We were delighted to have our tickets sell out well before the event & to see the ladies of San Pedro get into the spirit of the night with fabulous frocks while the gentlemen at their side sported Hawaiian shirts and tropical linen (even the occasional panama hat could be seen among the crowd). With the gorgeous company and the rum punch flowing it could only be a great night in San Pedro! This year’s event was graciously hosted by Crazy Canucks. With special thanks to Rob & Krista Burrows for their continued long term commitment to ACES and the education of San Pedro’s children as well as their amazing bar staff. The food for the evening featured the “Flavors of San Pedro” A fabulously diverse & sumptuous buffet served by San Pedro’s most famous restaurants, including: Caliente, Caprice at Holiday Hotel, Coconut Café, Estel’s Dine by the Sea, Hidden Treasure, Pineapples at Ramon’s Village and San Pedro newcomers Sabine’s Corner & Paradice Cream! Each brought with them their signature dishes designed to tempt the palate & put the amazing cuisine of Belize on display. From crisp snapper cakes, rich seafood stew, ceviche, stuffed peppers, bruschetta, to smoked chicken and Charles’ famous ribs the food was a sumptuous and diverse display of the best of San Pedro. Handmade ice cream, cakes and pastries brought the meal to a perfectly sweet close. Entertainment for the evening was provided by Daryl of Daryl’s Kids with a cameo appearance by Sabine. Due to the generosity of our local business leaders & guests, the evening was an exciting night of silent, fishbowl & live auctions featuring everything from stunning original canvases to fishing excursions, gourmet chocolate and adrenaline packed adventure packages. We cannot thank our community and business leaders enough for their support of this event. The response from our business leaders in San Pedro was so profound that it can only be described as humbling. When asked for their assistance, our local businesses staggered us with their willingness to help. Each of them generously took up our cause and gave what they could without a second thought. Our thanks to each of you for your devotion to educating the kids of San Pedro and your community. Ambergris Caye Elementary School would like to say a special thank you to the generous companies who chose to underwrite this event. Without their dedication to education and the arts in San Pedro this amazing event would not have been possible. Our very grateful thanks to Our Event Underwriters: Belize Caye Investments, Mr. & Mrs. Ben Johnson and Atlantic Insurance. A special thanks to those individuals & businesses who chose to support ACES by sponsoring a table and inviting friends, family and business associates to learn more about ACES programs, scholarships and goals going forward. Thank you for your dedication to educating the children of San Pedro: Mrs. Anne Forgey, Kurt & Karoline Huettl, Dan Laubach, Eric & Krista Mohr, Jerry Ritter & Joie Hubner, Marbucks, Brian & Kay McCarron, Premier Divers, Rob & Beth Spica; with special thanks to John & Shannon Caparella who graciously donated the tickets for our teachers and staff to attend. We would not have had a successful event if not for the amazing people who showed up and “put their money where their hearts are”. A sincere and heartfelt huge thank you to all our auction participants, and congratulations to the winners! Bless You All! Why wild animals do not make good pets!